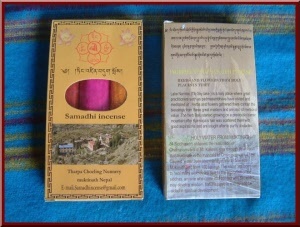 As used by Tibetan Shaman and Buddhist in ceremonies. 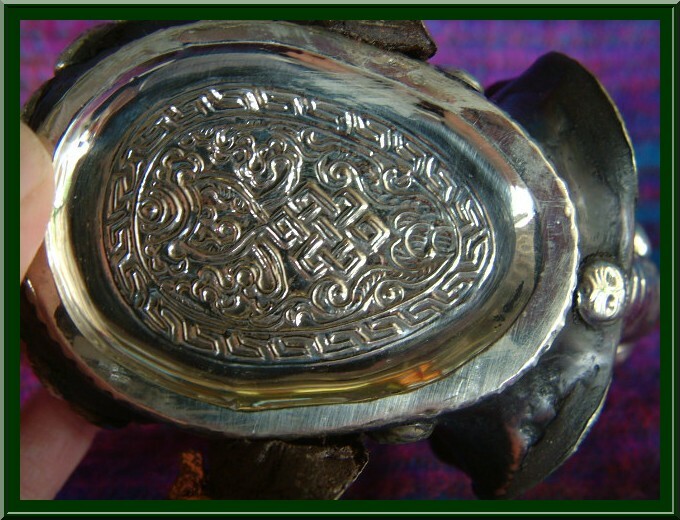 Browse our selection and see what you like. 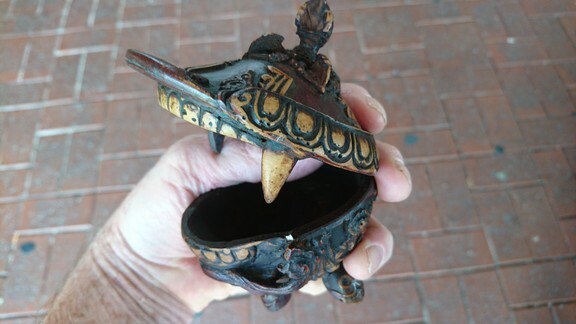 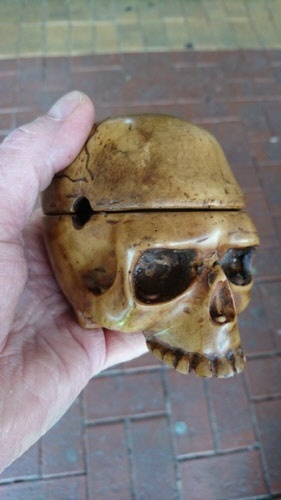 As used by Shamans in Tibet, this monkey skull made from resin with leather and metal decorations is quite a unique item. 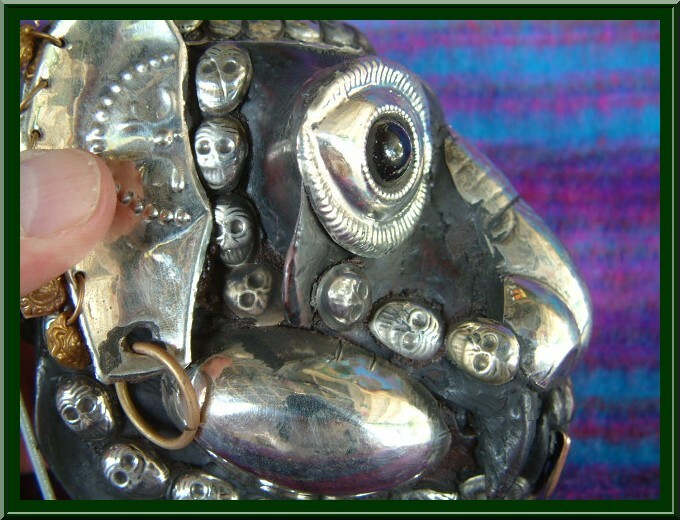 Any questions please ask via our contact page. A great item for the skull collector. 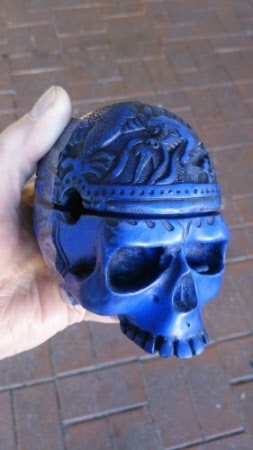 As used by the Shaman's in Tibet during ceremonies, this unique skull has a dragon etched into the top. 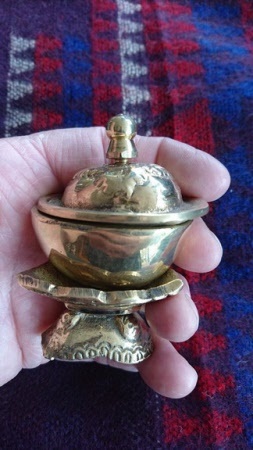 You can lift the top off and store whatever you like inside. 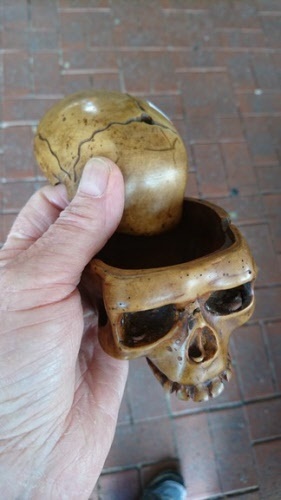 Realistic Human Skull as used in ceremonies worldwide. 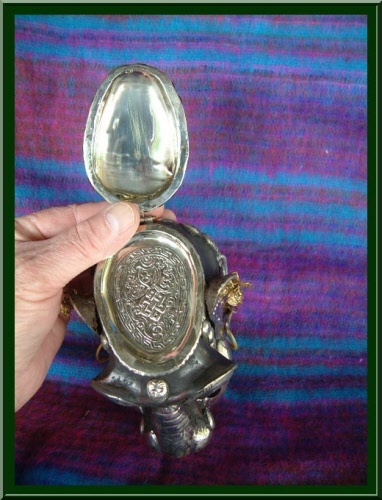 Made from resin-stone, the top lifts off, to see lid open just click on the photo and you will see extra images. 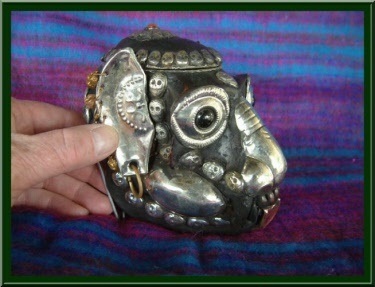 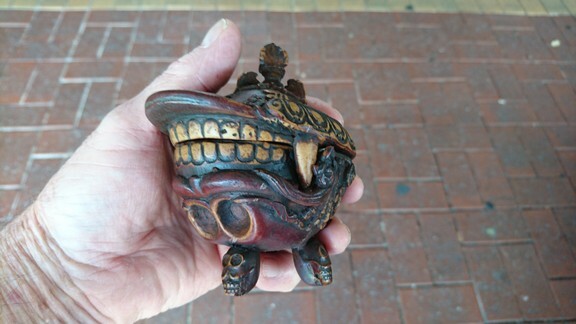 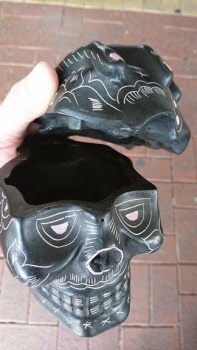 This is a very unique design, it's a Skull Kapala, with skull legs holding it up and large teeth either side. 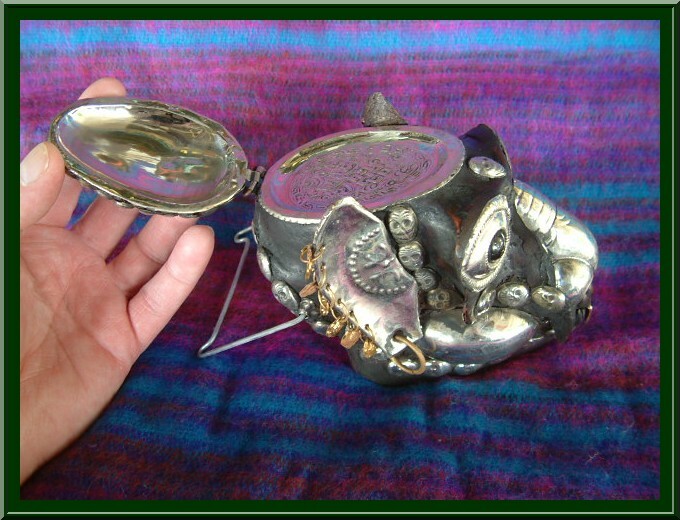 Just lift the lid off - click on the photo to see more images. 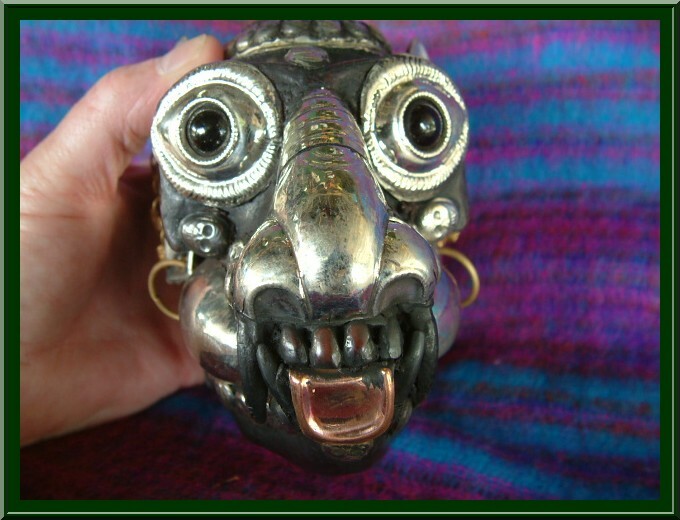 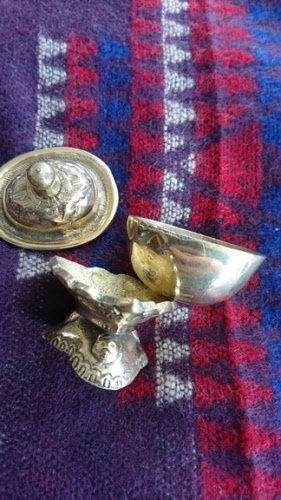 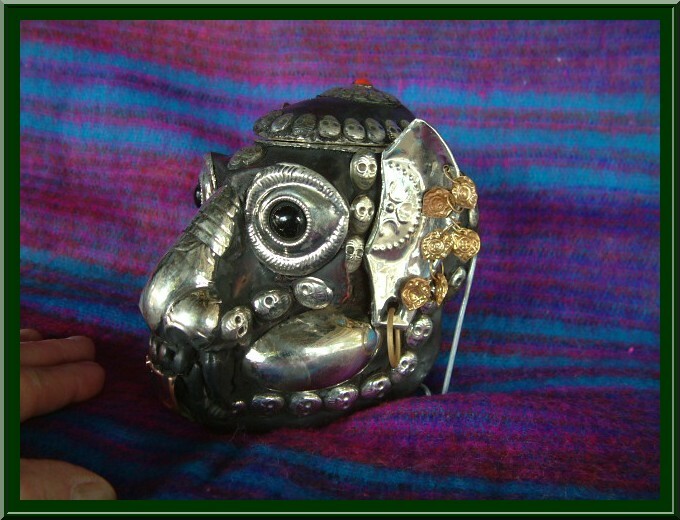 Beautiful Kapala made from brass in Nepal with much respect and care. 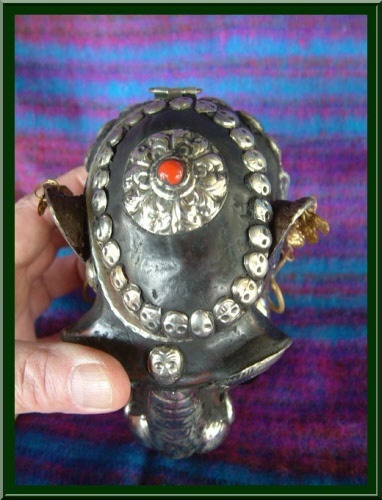 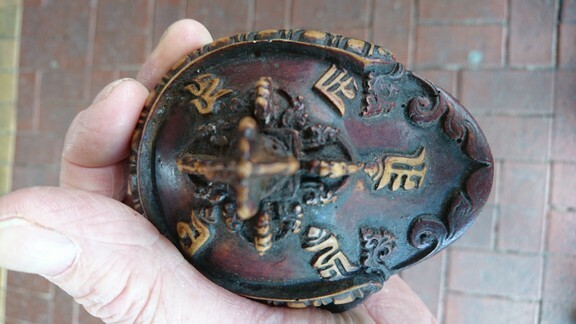 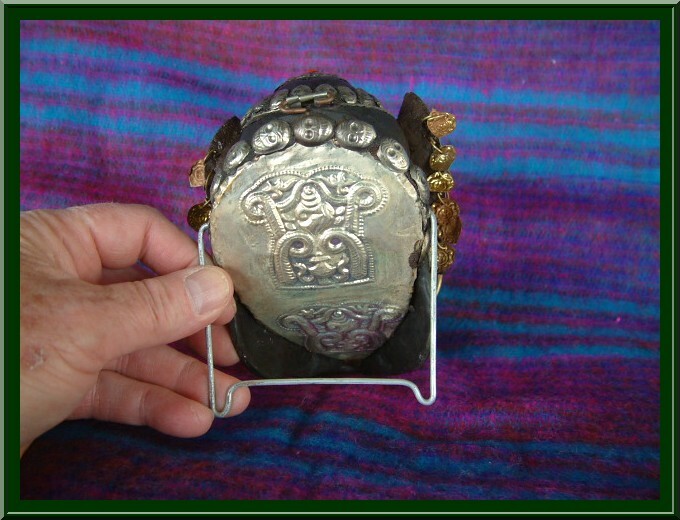 A ceremonial piece used by Tibetan Buddhist and Shaman across the globe. 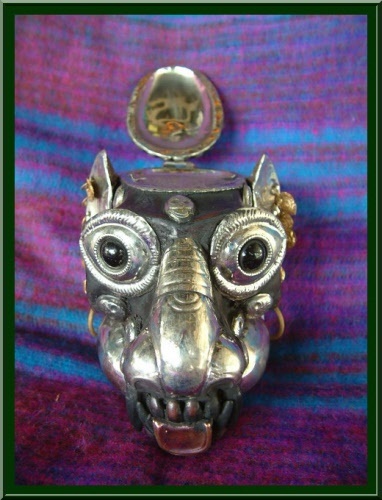 Ideal for home, shrine or Temple use.